If you live in one of the 38 states within the US that has a Papa Murphy’s pizza shop, then prepare to be blown away. 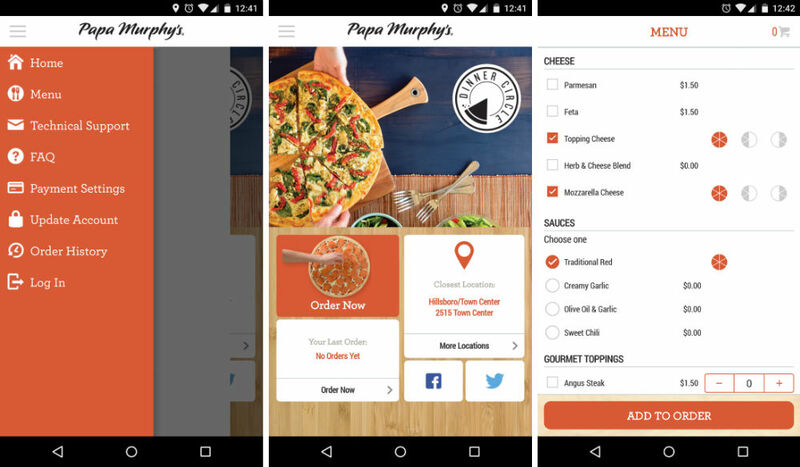 This week, Papa Murphy’s launched an official application onto Google Play, allowing pizza lovers to create their own pies while on the go, then have them ready to go at your nearest location. Inside the app, users can create custom pizzas from all of Papa Murphy’s ingredients, or select from a variety of popular pies they offer. I gave the app a test, seeing if I could build my usual, which is a half pepperoni and black olive, half Italian sausage, pepperoni, and green pepper pie. In the customization section of the app, selecting which side you want the certain ingredients on is a breeze, and I was thoroughly impressed by the app. Additionally, you can choose which sauces you want, how much cheese, and what type of crust you desire. It’s all there. I have been munching on Papa Murphy’s since I was just a wee baby, and if you are like me, then this app will likely be a staple on your phone.